Provide the best care possible with expert insight and clinically relevant coverage of the physiologic changes that occur throughout all major periods of the perinatal experience - prenatal, intrapartum, postpartum, and neonatal. Maternal, Fetal & Neonatal Physiology: A Clinical Perspective, 4th Edition gives you a solid foundation for assessment and therapeutic interventions, featuring an emphasis on the evolving interrelationships between mother, fetus, and neonate and adaptations of preterm and term infants to the extrauterine environment. Solid coverage of the physiologic bases for assessment and therapeutic interventions make this an ideal resource for advanced practice. Synthesis of the latest research studies and evidence-based practice provides vital data on normal physiologic changes during the antepartum, intrapartum and postpartum periods; anatomic and functional development of the fetus; and developmental physiology of preterm and term neonates. Pharmacology tables offer quick access to key pharmacology information and drug effects with clinical examples. Coverage of pathophysiology and interventions for the pregnant woman, fetus, and newborn for selected abnormal events provides a solid understanding of physiologic adaptations and developmental physiology relating to major body systems and metabolic processes. 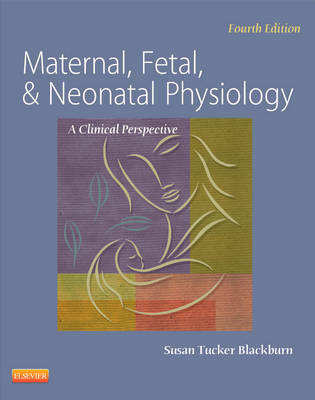 Comprehensive tables, diagrams, and illustrations highlight important concepts and summarize key information Thoroughly updated content offers the very latest evidence-based information, contemporary research, and clinical developments related to maternal, fetal, and neonatal physiology. New coverage on the late pre-term infant provides the most current practice guidelines to promote quality care. Expanded discussions of reproductive processes reflect cutting-edge research and the clinical implications of physiologic and genetic effects brought to bear from both the female and the male. Extensive and reliable web sources allow for further study or checking for updated information. New NICHD standard definitions on fetal monitoring enable you to identify fetal heart rate patterns using standardized nomenclature.